UNFPA programmes in Kosovo aim to improve sexual and reproductive health, promote the rights and well-being of adolescents, and to strengthen evidence-based analyses on population dynamics. These efforts include increasing access and use of integrated sexual and reproductive health care, promoting comprehensive sexuality education, and strengthening institutional capacity for developing and implementing rights-based policies. 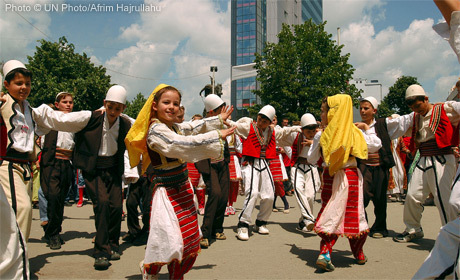 UNFPA’s activities in Kosovo are conducted in accordance with United Nations Security Council resolution 1244 (1999).